After taking a month off, it is time to for the next installment of our monthly article summarizing every dividend growth investor’s favorite topic…DIVIDEND INCREASES! For those of you that are new followers, each month we try to summarize as many companies that are expected to announce a dividend increase in the coming month as we can. Why? Because it gives us something to look forward to and there is a chance it may impact someone’s investment decision! This is going to be an exciting month because there are some big names in the investing community that are set to announce an increases. Now, it is time to roll up our sleeves and see which companies are expected to announce a dividend increase in April 2018. 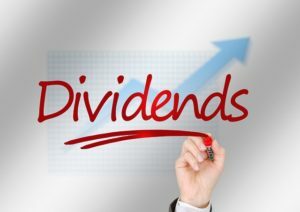 What a month it has been for dividend increases! Each month, I highlight the companies that are expected to announce a dividend increase in the coming month. For the first time, I am speechless. In January, I highlighted three companies that were expected to increase their dividend in the coming month. But man was I blown out of the water with all of the dividend increases that were announced. February will have some tough shoes to follow! Enough talk, let’s dive right in and summarize the companies that increased their dividend in January and which companies are expected to announce a dividend increase in February.